Even though I am a 70s guy and have seen a ton of movies from the era, and the original project here focused on those kinds of film, there are still gaps in my experience. 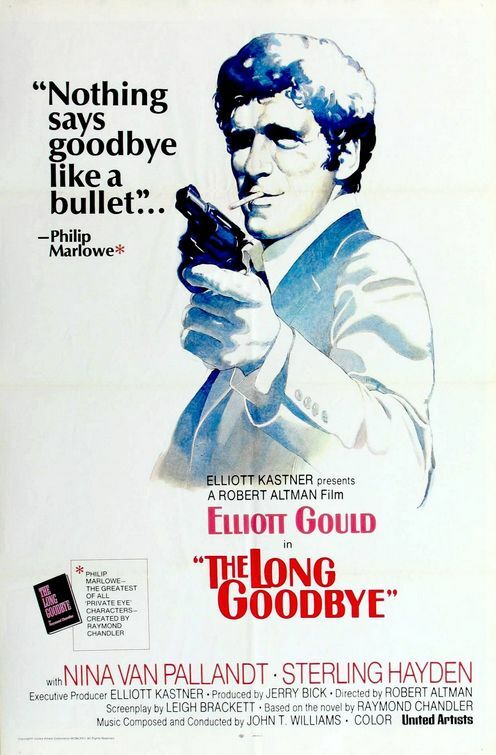 “The Long Goodbye” is one of those films I knew about but for some reason or another, I’d just not gotten around to see. Maybe the idea of a contemporary Philip Marlowe through me off. Anyway, the film festival this year afforded me the opportunity to see this on the big screen at the Egyptian Theater. 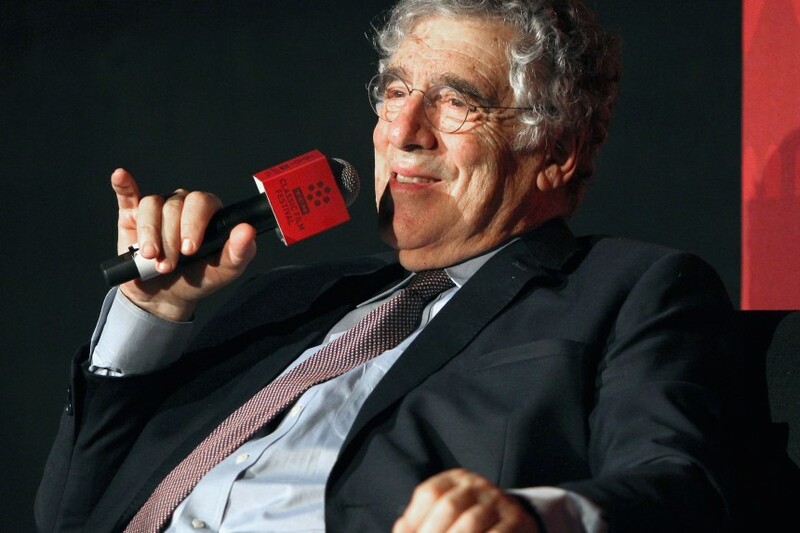 In addition, it came complete with a brief discussion with the star Elliot Gould, conducted by TCM Host Ben Mankiewicz. The opening of the movie is a deadpan ten minutes about a guy and his cat at three o’clock in the morning. Marlowe is no great shakes at housekeeping but he is a conscientious pet owner. He goes out of his way in two very different approaches to making the cat happy. It has nothing to do with the plot, it’s all about establishing the character. Another character in the movie is the city of Los Angeles in 1973. The hippie chicks in the next apartment are naked most of the time, a guy like Marlowe with limited resources can still afford a canyon side apartment and the Malibu Colony is not packed with so many celebrities that people still can’t get near it. Everybody in the story has an agenda, and some of them are so difficult to figure out that you might as well give up. Sterling Hayden is a disturbed writer that is a client, a suspect and a friend at different points in the story. His wife is cryptic and distant from both he and Marlowe. The cops are pricks and Marlowe’s friend, Terry, played by major league pitcher and notorious writer Jim Bouton, disappears after his wife is murdered. Director Mark Rydell, who made “The Cowboys” among many other films, plays a single minded mobster who is also looking for Terry, and he is truly psychotic.The story involves false leads, hangdog characters and an aura of ennui hangs over most everyone we meet. The plot is less important than the attitudes and the setting and it is a perfect embodiment of a 1970s movie. It may have been my daughter Amanda’s favorite film of the festival. There was a nice tribute clip that they showed before the interview and then Ben asked Questions but Mr. Gould went all over the place in answering. It reminded me of the old days of talk shows when the guest and host would have wide ranging conversations and take as much time as they wanted to talk about a point. Sunday morning found us returning to the festival after a long day before, (but not as long as Friday) and we were seated in the big house at the Chinese theater. Robert Altman really begins his esoteric movie style with this film. 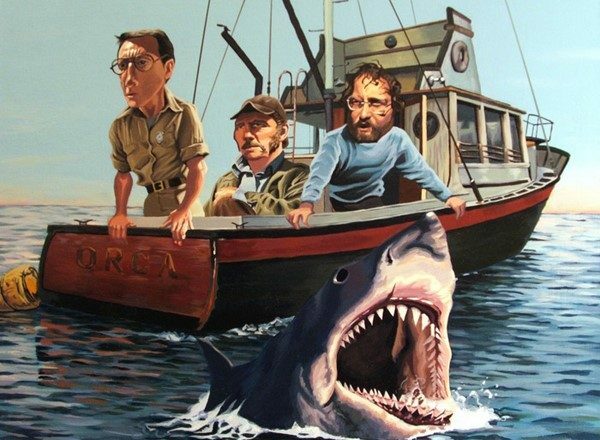 The rambling mostly improvised dialogue and blocking which would be a signature of his work for the remainder of his career, comes to prominence in this iconic anti-war movie. Centered on the Korean war but overtly dealing with issues in Vietnam, the rebellious spirit of 1970 is evident everywhere. 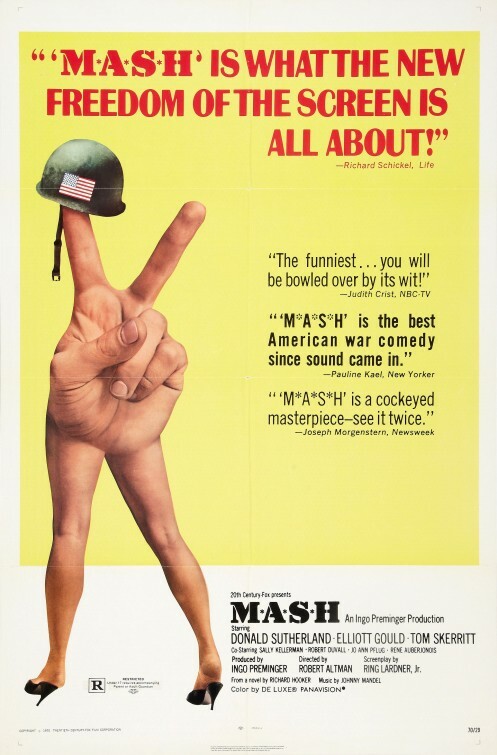 This picture is the bookend for the seventies, the film it lost to for Best Picture that year, “Patton”, was also a war film but much closer to the sensibilities of the 60s than the 70s. Gould and co-star Donald Sutherland are the least glamorous film stars you can imagine. In contrast to Newman and Redford in “Butch Cassidy” the year before, these guys were unkempt and often covered in blood. Their language was salty ant heir hijinks were more schoolboy naughty than cool. Still they were very funny and the film managed to inspire the long running, much awarded television series of the same name. It is the least likely success story I can think of , trying to make this movie into a TV show. That it worked is again a testament to the fact that characters were more important than the plot. This is a movie that is easy to watch on a regular basis. First because it is so funny, and second because you will notice new little things about the film each time. A joke or a prop that slipped by the first time will sneak in and give you another moments pleasure when you were not expecting it. The supporting cast is filled with familiar faces and accomplished actors. The last supper of “Painless Waldowski” is filled with faces that could be in a portrait of 70s film and tv stars, and it does not even include Robert Duvall, although Tom Skerritt does make the picture. 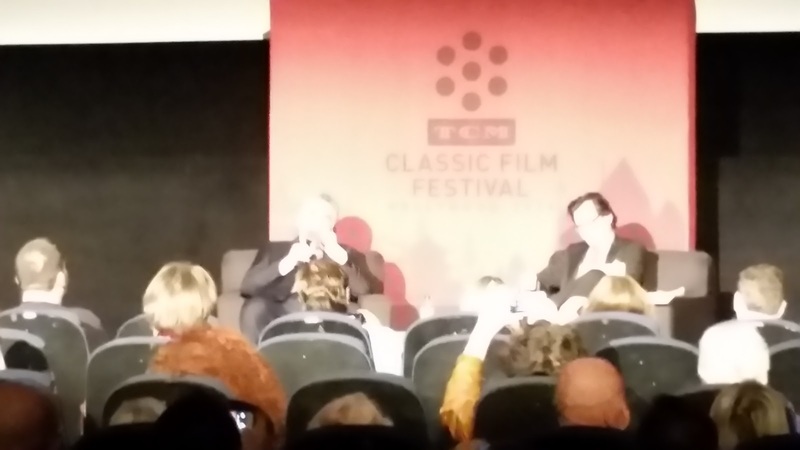 This was one of the presentations where the guest appeared after the film screened and again Elliot Gould did not disappoint. He was a little more focused but just as fun and the stories were all different from the night before.